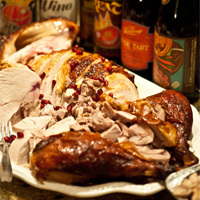 As an alternative to gravy or mole, try this recipe of your Oaxacan Style Beer Brined Turkey. Its rich, nutty and silky elegance is perfect over turkey, chicken or other poultry meat. 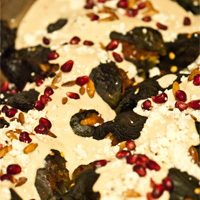 It can also be used for other Mexican style entrées like Chiles en Nogada. A Oaxacan style walnut sauce made with a Brown Ale, fresh cheese, crèma and puréed until smooth and silky. Perfect over roasted chicken, turkey or stuffed pasilla peppers. Preheat the oven to 325°F | 163°C. Place the walnuts onto a sheet tray and toast until lightly brown, about 10 – 12 minutes. Remove from the oven and allow to cool. 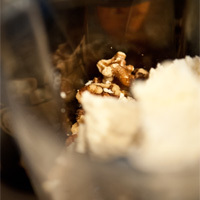 Transfer the walnuts to a blender pitcher. 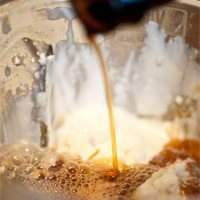 Add the cheese, crèma, Brown Ale and sugar. Blend on low, increasing to high speed. Let the nuts and cheese grind together until a smooth sauce is formed, about 2 – 4 minutes. 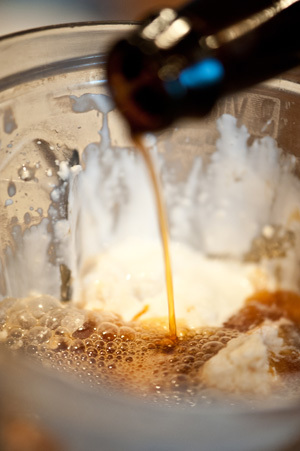 If the sauce is too thick, add more beer, 2 ounces at a time. Taste and adjust the salt as needed. Use the sauce immediately, or refrigerate up to 5 days.